Wow, I’ve been too busy to blog! That and I couldn’t get any WiFi connection in WV. 10 total reps , completing 1 rep every other minute. Work up to your heaviest set, increasing weight as form and execution improve. I worked up to 155 but was only able to clean and not jerk 160. Dammit. This was challenging yet fun! I completed all wall crawls, KB swings, and lateral bar hops in unbroken reps. Forty-eight unbroken lateral bar hops after deadlifting isn’t easy. Just saying. I completed the first round of deadlifts in unbroken reps and the remaining three rounds in reps of 8 & 4. I stepped it up a notch by completing the first round of burpee pull-ups and box jumps with a twist. Yup, a twist. ‘Twas dizzying! I also completed all rounds of activities in unbroken reps. Yup, nary a rest with the exception of short rest as transitioning from one activity to the next. Take up to 20 minutes to establish 3RM. Gah, this was difficult! I worked up to 110, and whilst a PR still not all that heavy. Stupid snatches. This went much, much better than expected. I had no set goals going into the metcon and this worked to my advantage. I completed five rounds of hang power cleans in unbroken reps. How the hell did that happen? I did fail on the last rep of the fourth round and completed other rounds in reps of 7 & 4 reps. Yay! I completed all but one round of double unders in unbroken reps. How the hell did that happen? Did I already say that? Whilst not overly challenging, I did complete all 33 air squats in unbroken reps. What I did also did, however, was complete the last 10 reps very quickly. Fun! That’s 86 hang power cleans and 231 double unders and air squats. In just 14 minutes. Yay! 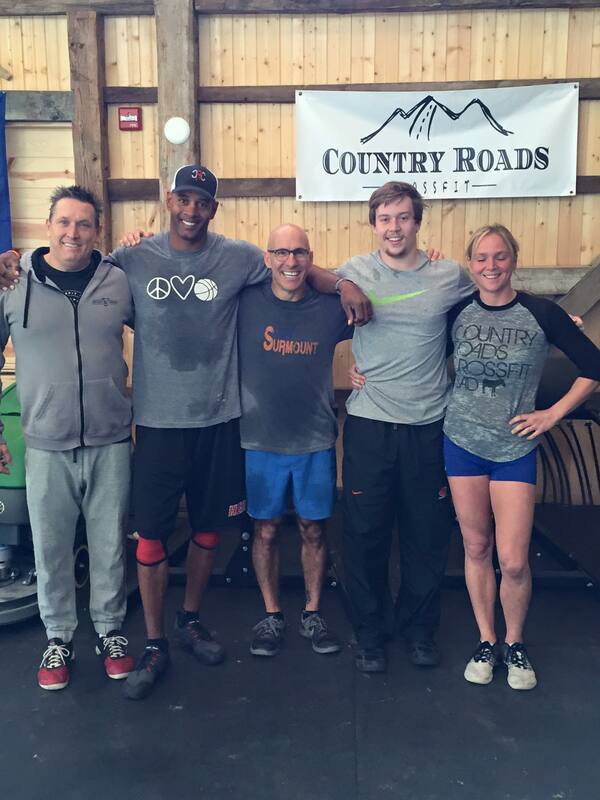 Jeff and I visited CrossFit Country Roads in Lewisburg, WV. It had been years since I’d visited WV and downtown Lewisburg had changed dramatically and for the better. I had contacted the owner, Bimbo, ahead of time and he was very gracious in his invitation to join them for a workout. Jeff and I thought that there was a scheduled workout at 8:30 but instead it was Bimbo, his wife Laura, and Christian. All three are preparing for the War of the WODs and invited us to work out with them. And a very challenging workout it was. First, it’s an awesome space with ample equipment. Bimbo and Laura were both friendly and welcoming — as box owners should be with other box owners! We completed a very good warmup and then spent 15 minutes practicing handstands and front levers. I also practiced back levers. Yup, I still have it. Ha! Yes, seven rounds. Wow! None of us kept track of meters or rounds and reps. I do recall, however, rowing 300m+ each round, completingat least 2 rounds of 5 burpees + 5 box jump overs, and beginning (and sometimes finishing) third round of toes to bar. I have no idea how far I sprinted. Bimbo and Christian actually jumped over the box. Uhm, I’m not going to even attempt to do so. It was nice to workout — and also keep up — with such strong athletes. I completed the most shuttle sprints (duh) and the most rounds of toes to bar and double unders each round. Yay! That’s about 2K row, 70+ burpees, 70 box jumps overs, 70+ toes to bar (all in unbroken reps) and 280 double unders. I was a sweating and swearing mess. Jeff and I stayed and talked with Bimbo and Laura. Yup, I also gave some pointers for rowing and offered to host a running clinic. 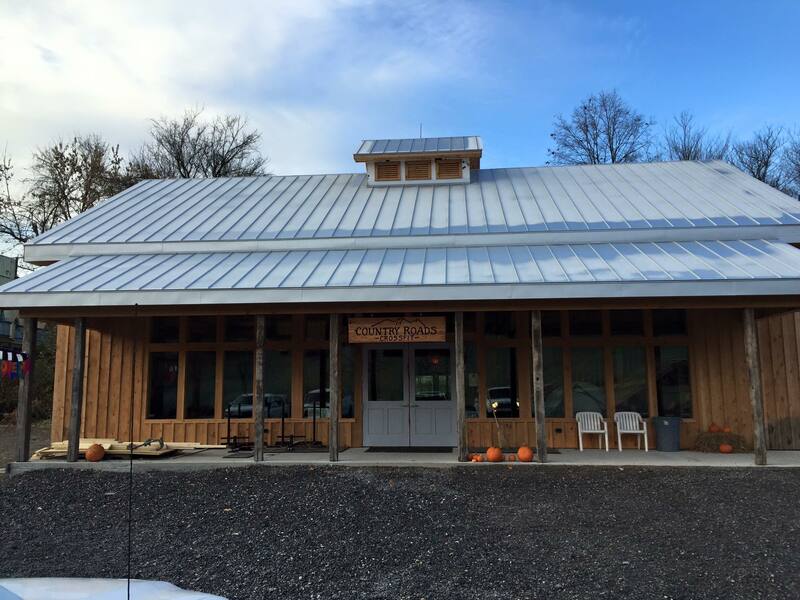 At my mother’s suggestion, Jeff and I traveled to the old farm in Renick’s Valley. As I said to Jeff, it will be the very last time in this lifetime that I do so. Our old house had been torn down and replaced with a doublewide, and many of the building were in a serious state of disrepair. It was both depressing and disconcerting. My niece’s wedding, on the other hand, was an awesome event!